In the land of the Zulus, everything seems backward. January is the hottest month of the year. You have to drive on the left side of the road. 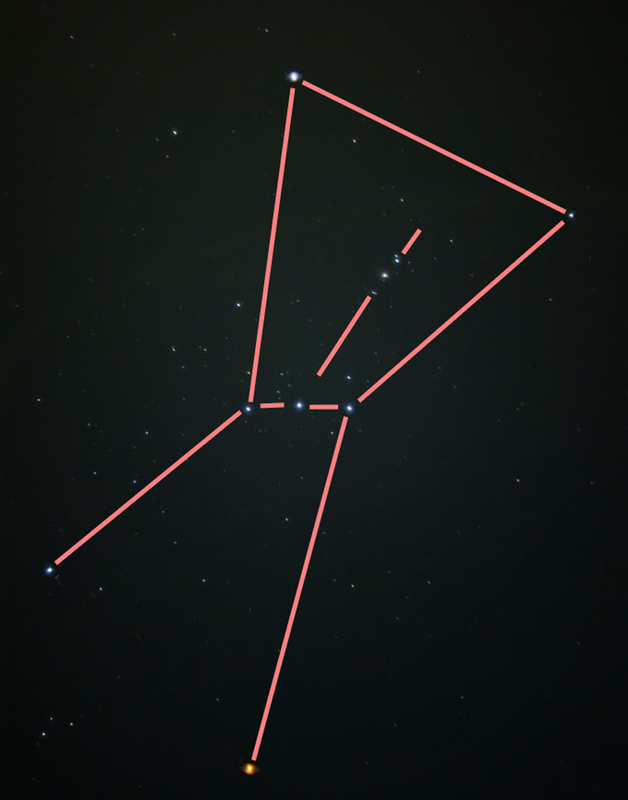 Even Orion stands on his head in the night sky; his sword becomes a celestial erection. And, of course, white people are in the minority. And though in America the name of a place is indicated by suffix – PIttsBURGH or FayetteVILLE — in the Nguni languages of southern Africa, it is a prefix. So Zululand is kwaZulu. And what is more, because in that part of the South African province of Natal, where the Zulu people have traditionally lived, kwaZulu means the ”place of heaven,” heaven is underfoot. You can tell it is heaven just by looking at it. The road inland from the Indian Ocean roller-coasters up and down grassy hills that have grown electric green in the nurturing humidity. 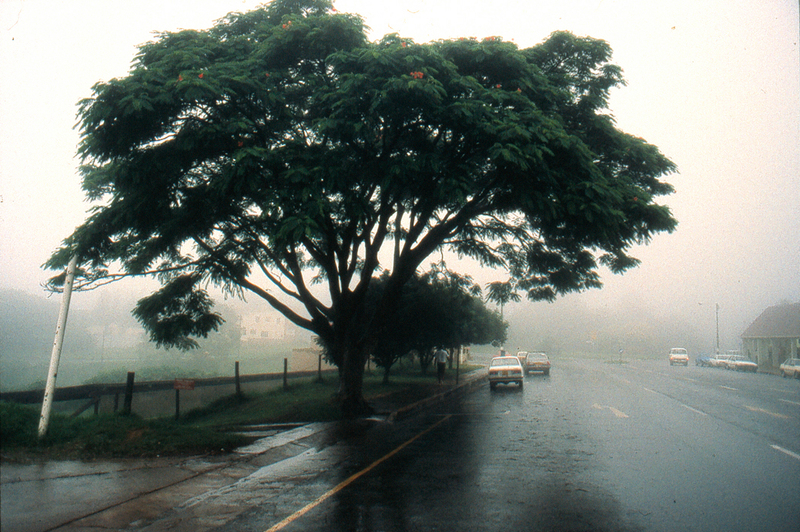 In the valleys, you find a darker green of trees and the euphorbias that mimic cactuses. It is a land closed in by its own fertility, with few of the vast panoramas familiar from the desert. January is the rainy season; the Tugela River is swollen and has washed away the bridge on Provincial Route N2, so the bus I’m riding has to detour several miles upstream and cross the churning brown water on an old railroad bridge. My goal is a Zulu kraal north of Eshowe in the community of kwaBhekithunga. A kraal is an old-fashioned Zulu family settlement. 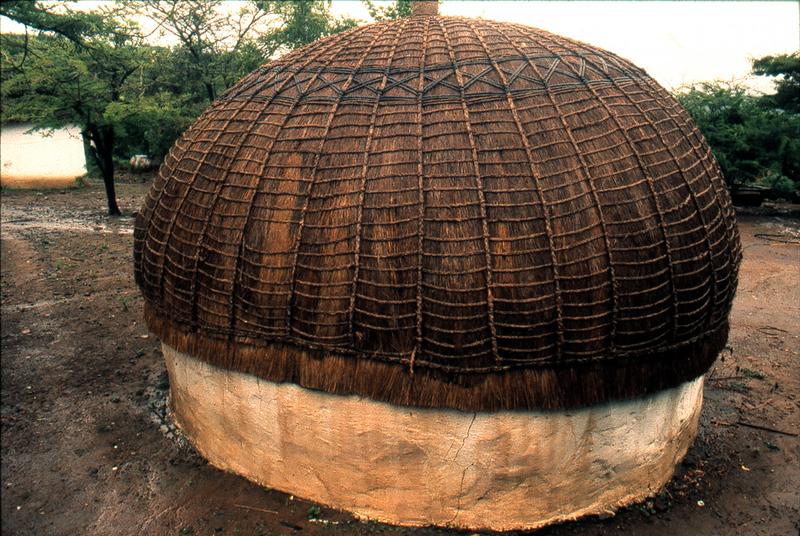 The standard kraal consists of a number of beehive straw huts encircled by a palisade of wooden stakes. In the center of the kraal is a corral holding the village animals, which are its wealth. Some of the huts are large enough to serve as dormitories, but most are about the size of a Navajo hogan. And as with the hogans, most people no longer live in them regularly but keep them maintained for cultural or religious reasons. Zululand has gone through terrible cultural upheaval since it was first brought together politically in the 1820s under Shaka, the George Washington of Zululand. 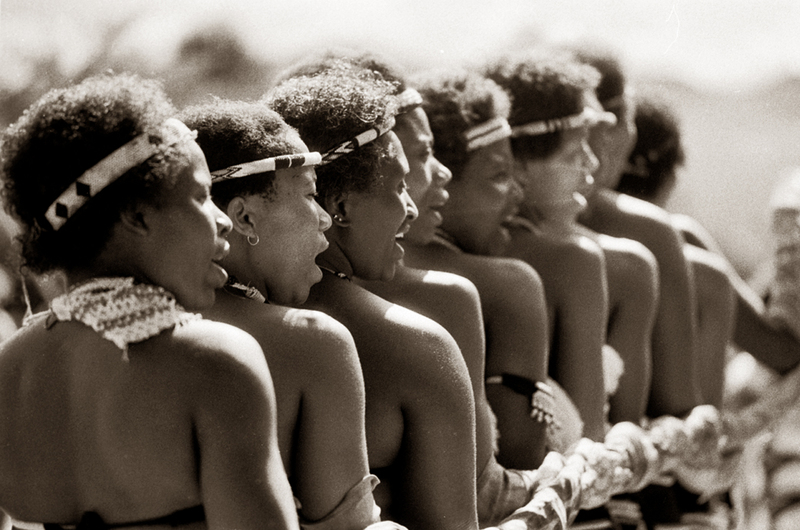 Nowadays, 82 percent of the population of kwaZulu is female. The men have gone to the cities to find work, mainly in the mines of the Transvaal. Those males remaining in Natal are mostly old men or children. But in the time of Shaka — who was born two years before Washington became president of the United States — things were different. Under the charismatic military leader, a disciplined army of 20,000 men conquered most of Natal, increasing the area of kwaZulu by a factor of more than 100 and incorporating the many small Nguni-speaking tribes into a larger political unit called Zulu. 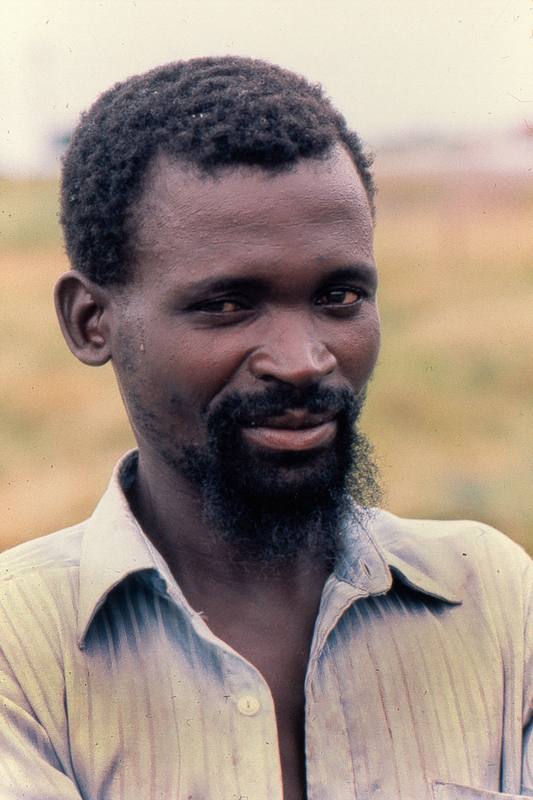 Shaka’s kraal at kwaBulawayo was the size of a city, and he successfully negotiated treaties with the new ”sparrows,” or white men, who had recently colonized the area of Natal south of kwaZulu. When Shaka was assassinated in 1828 by his own brothers, the kingdom began its long political decline and finally lost its sovereignty at the end of the century to the white South Africans. 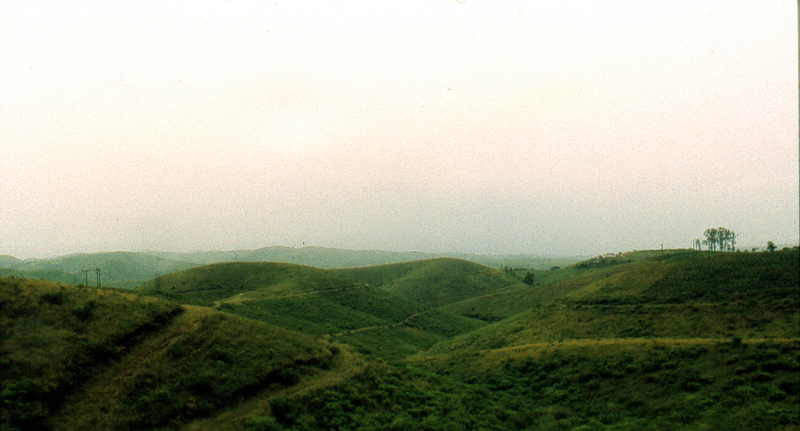 Zululand was annexed to Natal in 1897. 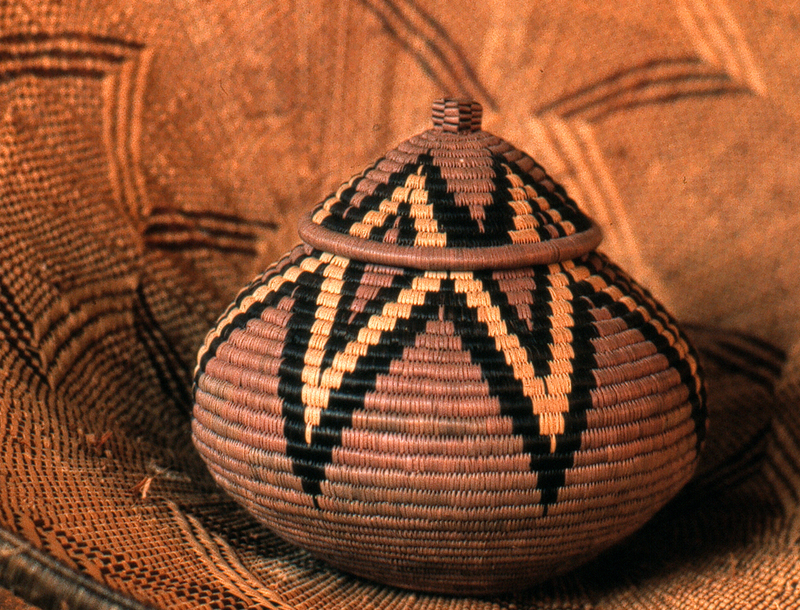 At kwaBhekithunga, there is none of the grandiosity that marked the reign of Shaka. The footpaths are muddy, the huts are dusty and several of them are under much-needed renovation. The village’s headman is Bancusa Fakude — the ”c” is really one of those characteristic South African ”click” sounds — and he and his family spend the evening with the kraal visitors teaching us about Zulu culture and performing music and dance. He explains that the hut floors are made of an adobe-like cement made of animal dung and that the door of each hut is protected by a line of animal urine drawn in the dust. ”It keeps the snakes away,” he says. ”Never had one here, so I guess it works.” We drink a cloudy liquid from a pitch-lined basket. It is the Zulu sweet-sour home-brew beer. And we eat such dishes as phutu, or cornbread crumbs, and istampu, a corn and butter bean succotash. When the village fire burns down, we head to our huts in the dark to sleep in the unsettling silence of Africa under an upside-down sky. And when I want to point home to North America, I have to point down to the ground.